Journalists from the Black Sea area (Bulgaria, Moldova, Romania, Turkey or Ukraine) are invited to participate in a free media training organised between 8-10 November in Bucharest. The participants will learn during 3 days about the use of new media tools, how to create your own online platform and what is fair reporting on ethnic/religious issues. The training, called ‘New Media Tools in Combating Discrimination’, is organised by Balkan Investigative Reporting Network-BIRN Romania. This organisation is a group of editors, journalism trainers and reporters, dedicated to creating a strong, professional, independent media in Southeast Europe. 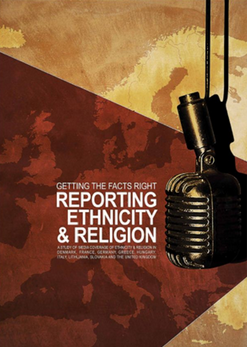 After the training, participants will produce in-depth news analyses related to ethnic/religious discrimination. A special media package containing all the analyses will be published by BIRN. The project is funded by Black Sea Trust for Regional Cooperation and aims to raise awareness about ethnic and religious discrimination in countries from the Black Sea region by promoting best practice in terms of reporting on such often sensitive issues. Meetings and lectures will be held in English and the organizers will cover travel and accommodation.